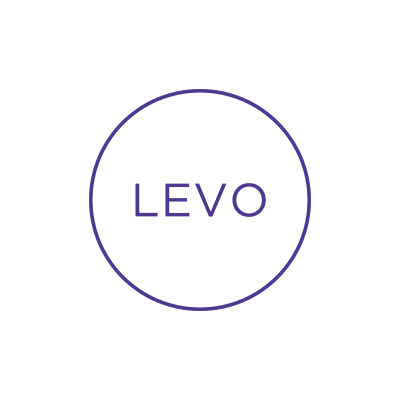 Team size: at its height: 4 (one UX/UI, one marketing designer, one photo editor, one intern); currently we have a much smaller core team at Levo and my time is focused on product design, product management and user/competitive research and improvements. Leadership/mentorship/career coaching: Each team member had about 2 years experience in their positions, so this was a great opportunity to work with each staffer on understanding the business, how to work with different departments, what are best practices for deliverables. I also made sure each person had at least one project that excited them or would help them learn something new. For my photo editor, that meant streamlining workflows so she had dedicated time each week to photograph features outside the office. For my UX/UI designer, that meant a more active role in the product planning of specific features. For my marketing designer, that meant guiding her to manage the launch of Levo100, a brand marketing initiative with significant PR asks. Management/Mentorship: weekly 1:1s, weekly team meetings, 30-day team goals, 90-day reviews; full company outings, open-door policy and low-key, conversational management style. Coaching and feedback on an ongoing basis. Prototyping and idea sessions. Partnership tasks pairing complementary Thinking Talents. My goal with this team was to make sure everyone was contributing at their best level, everyone understood the business goals, how we could deliver to various departments, and how we could maximize output for ongoing initiatives. Management involved defining processes, aligning deliverables to the roadmap, fostering a collaborative environment, and coordinating all efforts across product, revenue and marketing. Hired & managed designers, photo editors, freelancers and contract photographers in 14 cities for DailyCandy Deals. Leadership/mentorship/career coaching: Designers ranged from experienced to interns. Photo editors both started as my interns with DailyCandy, and were promoted /hired into full-time positions. Most photographers had at least a few years of experience. The main goals with this team were execution, delivery and creative concepting. Our team was tasked with constant innovation and a very high expectation of quality. We did a lot of ideation for sponsored content, product enhancements and new features, as well as event and campaign planning. Mentorship with this team included guidance on working best with colleagues from different departments, training on managing photographers, budgets and photo licensing. Management involved defining processes and implementing tools such as Basecamp to manage a wide assortment of deliverables. Management/Mentorship: weekly 1:1s, weekly team meetings, full company outings, hands-on training across specialties, oversight of deliverables, coaching and feedback on a daily/weekly basis. Sales revenue opportunities increased significantly in two ways: Design had a role in sales development and our pitches were focused and inspiring. So, we sold more partnerships. More partnerships allowed for more product innovations, so we were able to design product enhancements that would in turn sell more partnerships. The people I hired and mentored at DailyCandy remain some of my closest friends and colleagues. It is especially inspiring to see people I hired as interns, trained and mentored, now leading their own departments and teams at major companies. Team produced 150 custom magazines per quarter for healthcare industry clients. The main goals with this team were mentoring, helping highly-skilled designers and art directors to manage extremely demanding workloads, and providing training and learning opportunities whenever possible. Defining processes and managing assets was especially important, and as a team we were able to significantly improve the quality of the product while at the same time reducing asset costs by more than 50% in one year.